Basil - We would like to inform our Calgary Co-op customers that we are in the process of expanding our current basil production area to enable us to continue supplying basil to the Calgary Co-op stores year round. We plan to have basil back in Calgary Co-op stores by the end of January 2019. Watch for production updates on this website and our Facebook page. 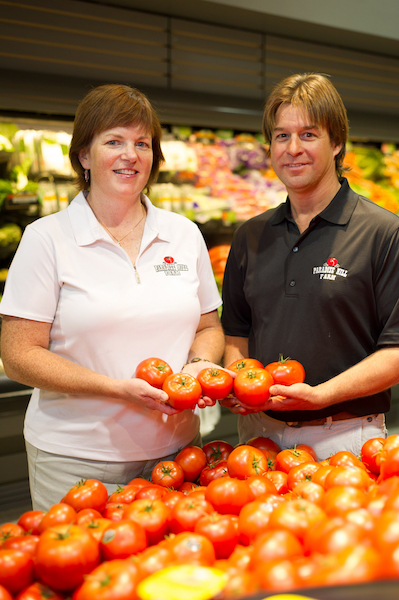 Tomatoes - Tomatoes will be back in Calgary Co-op stores starting April 2019. Please watch the website and our Facebook page for availability and store locations. We would appreciate any feedback you may have regarding our produce during this new extended season - or at any time! Thank you for your continued support of Paradise Hill Farm and shopping local.